There are many ways you can improve the capabilities of WordPress. Most of us rely on plugins to implement most of the things we want our sites to be able to handle. 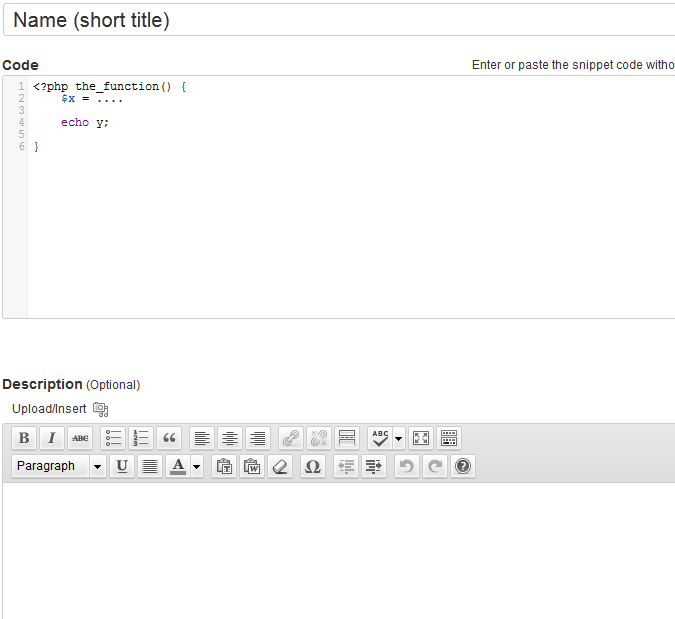 You could also edit your custom_functions.php or functions.php to add code snippets to your site. Don’t want to deal with those files? 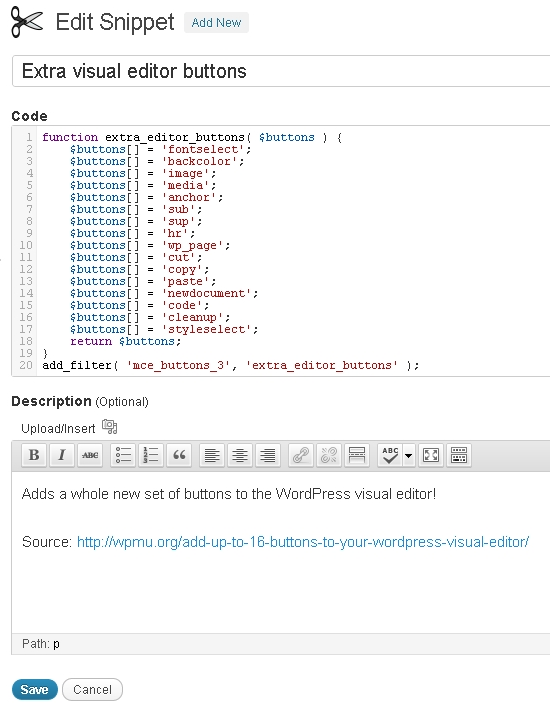 The Code Snippets plugin for WordPress can help. It is a handy plugin that gives you an easy way to add new code pieces to your site from within WordPress. The idea behind this plugin is very simple. This is designed for folks who want to add PHP code snippets to their websites without having to mess with their functions.php file. Your code snippets could be small or huge. You can think of them as mini-plugins. This script provides you with a graphical user interface for your snippets. It lets you organize them by adding a name and description for each. Syntax highlighting is provided as well. Code Snippets makes organizing your snippets easy. I like the fact that snippets can be exported. You need to be careful when using this plugin though as it could break your site. We have tried it on a couple of sites running Thesis and Headway, and the results were not that great. As long as you know the risks, Code Snippets for WordPress is worth trying.